The competition in today’s job market is so fierce that you may be up against literally hundreds of other applicants – and it won’t matter how perfect you are for the role if your CV doesn’t even get a second glance. In today’s world the only way to obtain an interview is to make sure your CV or résumé grabs the attention of the hirer. With so many people to choose from, the employer is going to be looking for the best of the bunch. 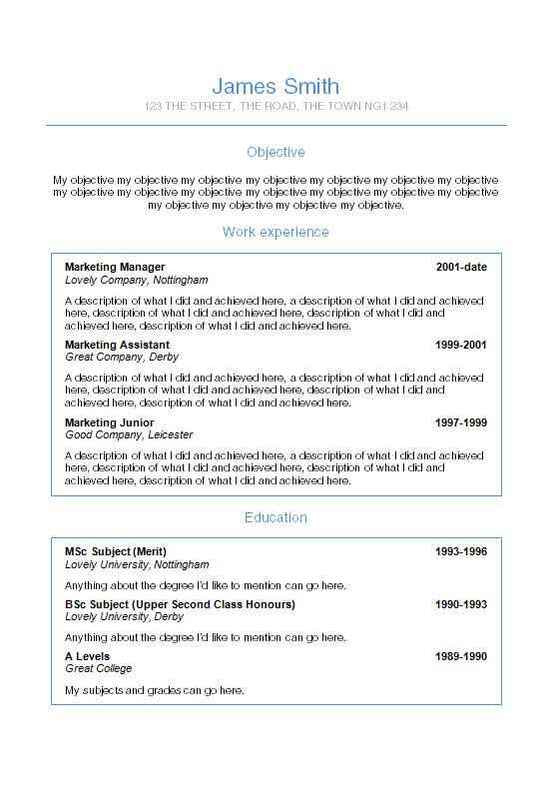 The first section an employer will see is your objective statement – so you better make it a good one! In fact, it better be so awesome that the employer can’t wait to read the rest of what you have to offer. Typically an employer wants to know what you are currently up to and what position you are now interested in. Try to avoid any fluffy or vague sentences which don’t get to the point. Employers are looking for a focused professional objective statement, which doesn’t beat around the bush and holds their attention long enough to end up on the ‘shortlist’ pile. A statement which clearly outlines your career focus, as well as what you are currently doing, is exactly what’s needed. Avoid making your statement too long, but also ensure it’s not too short. Remember, the employer will probably only spend on average about 20-30 seconds per CV or résumé (if you’re lucky), so they will most likely be speed reading – focusing in on certain keywords and important points that you have to make. An ideal statement should include your current profession, how long you’ve been in that role, and any particular areas of expertise and qualifications which will be ideally relevant for the role you are applying for. The objective statement should always be tailored to the role you are applying for, even if your current profession is completely different. Highlighting current expertise and qualifications which relate to the role will certainly grab their attention. On a final note, try to avoid using too many buzzwords like ‘hard working’, or ‘team player’. Too many buzzwords with little or no evidence to back them up is just wasting the reader’s time. The more keywords you include in your CV or résumé, the more your details show up more often in online searches – like LinkedIn for example. Also, some employers use electronic databases to store all the CV and résumé data – making it much easier for them to search through them all and narrow them down to the relevant role on offer. 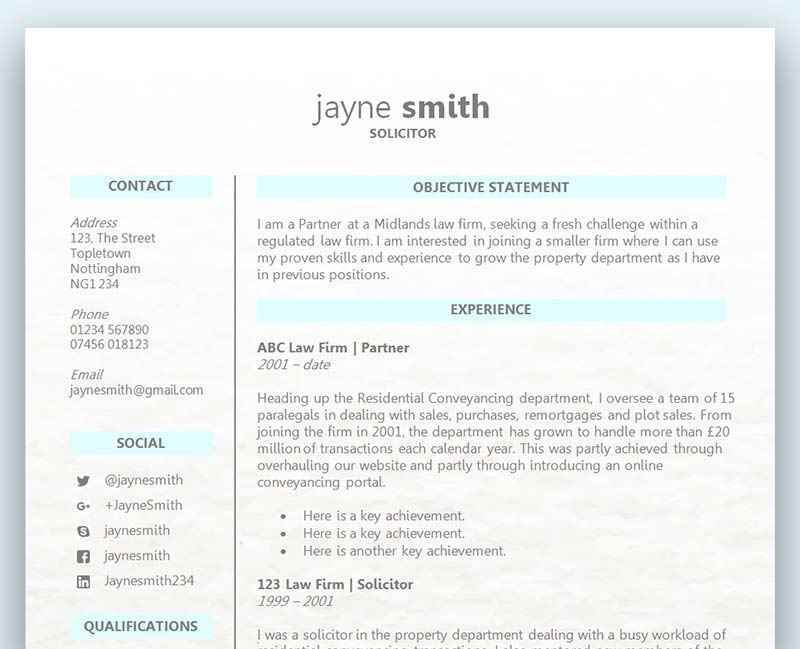 Including important keywords taken from the job advert themselves will ensure your application is always found if stored on a database. Use keywords from the job description, skills required and qualifications – not only ensure you are easy to find, but to also present the right details required to be hired in the first place. Presentation is everything when it comes to your CV or résumé, and the only way to ensure you capture the attention of the employer is to make sure it’s easy to read and understand. To make sure your CV or résumé is easy to read and understand, why not give a few out to your friends and family to see what they think? If you know someone who is currently in charge of hiring or has been in the past, why not give them the CV or résumé as well? Professional advice from someone who knows first hand what to look for will also give you a fantastic head start! There are far too many CVs and résumés out there that talk a good talk, but don’t walk a good walk. So this is your opportunity to stand out from the crowd and show off your achievements and results with cold hard facts that can’t be ignored. Employers hate to see buzzwords that aren’t actually backed up with any evidence to prove it. With competition for employment at an all time high, it’s simply not enough to state how good you are – evidence with numbers and figures are vital if you want to grab their attention! Think back at your previous roles and projects and make a note of all the times you achieved some outstanding results. This could be anything ranging from – cost cutting, improving performance, increased turnover, high levels of customer satisfaction, and so on. Don’t be afraid to use actual numbers and statistics when it comes to proving your accomplishments. If you saved the company £10k with your amazing idea, then make that clear. Consider using bullet points and a separate section below your responsibilities. Don’t make the common mistake of including them in the same section, as it may not be easy to spot.